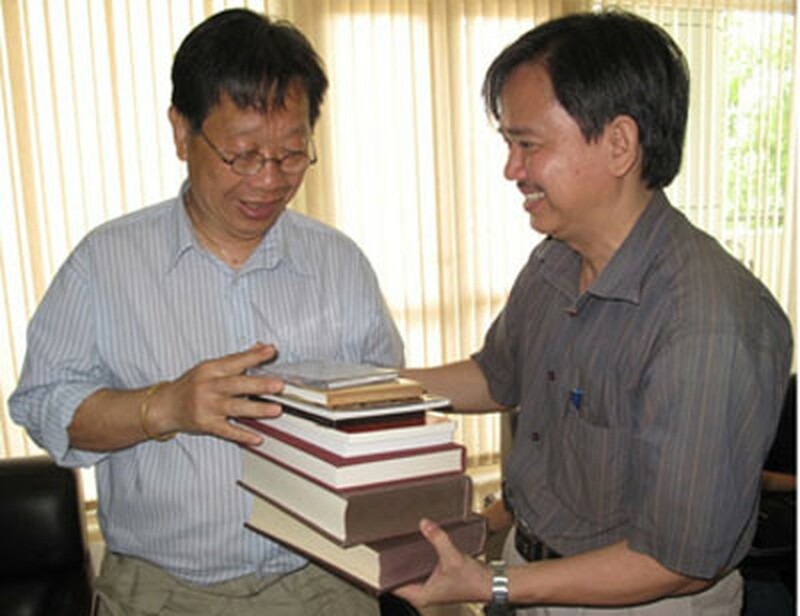 Music professor Tran Quang Hai handed over the entirety of his research work on Vietnamese traditional music to the National Music Institute on July 16. The talented Vietnamese-French renowned musician has collected numerous compact discs and books of great value over the past 40 years. Born in 1944, the professor comes from a family of five generations of musicians. He studied at the National Conservatory of Music in Saigon before going to France in 1961, where he studied the theory and practice of Oriental music with his father, Dr. Tran Van Khe, at the Center of Studies for Oriental Music in Paris. Hai can plays more than 15 musical instruments from Vietnam, China, India, Iran, Indonesia and Europe. Since 1966, he has performed over 2,500 concerts in 50 countries, and has taken part in over a hundred international traditional music festivals. The music master also has delivered over 3,000 talks on Vietnamese music in 65 countries and taught Asian music at 120 universities around the world. Hai’s music spans several genres including contemporary, electro-acoustical, improvisational, film scores, but he continues to preserve and develop traditional Vietnamese music. He has obtained more than 20 prizes and international awards such as a Gold Medal for music from the Asian Cultural Academy, the Cristal Medal of the National Center for Scientific Research (France, 1996); he has received honorary doctorates from the International University Foundation (USA) and the Albert Einstein International Academy (USA), and others. French President Jacques Chirac made Hai a Knight in France’s legendary Legion of Honor in June 2002.